We are a fairly smallish company with a fairly largish amount of output! Your home is a big deal and a huge expense. It’s really up there with babies and marriages in terms of life milestone! So it’s important that you are looked after throughout the process and your money is well spent on something that will look great and stand the test of time. We have friendly approachable guys. We get the job done right. We deal with your queries. We see your excitement with the end results. We are hands on, so if you want a builder in a swish suit with a big office you’ve come to the wrong guys. We want you to enjoy your building experience. We work off referrals and we are always busy, so it’s our absolute priority that you are happy with our speed and quality of work. Procuro is a Christchurch based building and renovation company. We use dedicated project managers, cutting edge technologies and superior customer service to coordinate your project from design through to completion. Specialists in Brick, Block and Designer Schist. Being an experienced, compact and mobile team we are open to jobs of all sizes and types. Whole house exterior brick and block builds Specialists in applying designer schist for exterior or interior projects Experienced problem solvers for technical application of materials EQC and other repairs Internal brick work and detail Brick patios and outdoor spaces Fireplace repairs and construction Mailbox construction Block walls Retaining walls Contact us to discuss your project, location and pricing. As professional builders we know what creates a successful home renovation. 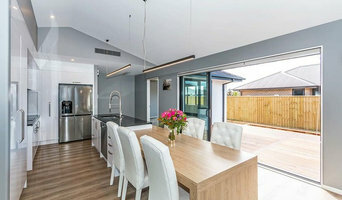 Being Christchurch locals, we are aware of local council requirements, weather conditions and the surrounding environment to perfectly design and build your home renovation. Our team at Smith & Sons Riccarton have extensive experience in renovations and extensions for all types of properties including traditional and modern homes, apartments, commercial units and investment properties. From simple bathroom upgrades to full home renovations and extensions we have the expertise to make your project a success. As a quality renovation builder, we use qualified licensed tradespeople who are reliable and dedicated to quality in building. With this in mind, you can trust Smith & Sons Riccarton to complete your renovation or extension professionally to your budget and on time. Morel Construction Limited is the summation of many years commitment to craftsmanship, built on the solid foundation of Dax and Todd Morel's experience. Their passion for the construction industry began helping their father build sheds and restore vintage farm machinery on the family lifestyle property in Timaru. A solid work ethic and passion for everything ‘hands-on’ was established from this young age. After completing their apprenticeship’s for leading Commercial Construction Companies that included such projects as the CBS Arena, Christchurch Casino, Canterbury University Commerce Building and Canterbury Museum earthquake strengthening they branched into other areas of the industry both in New Zealand and Overseas. It is during this time that they honed their skills in traditional cob craft artistry, ranging from high spec, architectural residential building and project management, to multi-storey commercial construction and civil works - culminating in the skills and measures of true quality that is the Morel Construction standard. Morel Construction offers you the assurance of trustworthy total project management down to fanatical finishing detail, all at a standard that is exceptional - without exception. Dwell Homes is an innovative architectural design build company based in Christchurch which has developed a unique range of cleverly designed, environmentally-sensitive houses using natural products and materials and bringing architectural detailing to a wider market. At Trent Building Solutions, we don't tend to blow our own trumpet. We like to think that our quality workmanship, our attention to detail and the way we look after our customers in a way that only a boutique building company can speaks for itself, but sometimes you just have to let people know just how good you are. We don't want to brag but at the recent 2015 Canterbury Master Builders' Awards we picked up a silver award in the $650,000 to $1 million category. That's a big deal but it just reinforces what drives Richard Trent and the team at Trent Building Solutions: To build dream homes for its clients. Will your new home from Trent Building Solutions be the next award-winner? Founded in 2008 by Richard and Aimee Trent (and Monty, the dog), Trent Building Solutions is a small, well-established boutique building company that specialises in architectural homes and hill builds. We might be small in size but we're big on experience and we really do care about you and what you want in your new home. We've been around for a while (we didn't suddenly pop up after the earthquakes) and we're accredited with all the major insurance companies for any re-build or earthquake repair work you might need. 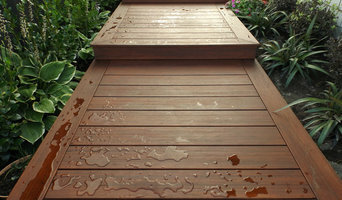 We're also experienced in doing renovation work. To us, no new home is the same (or should look the same) and no new client is the same, so we refuse to use a cookie-cutter approach to building. We like the personal touch: Richard will sit down with you at the start of the process to find out exactly what it is you want in your new home and how to build you a home that will suit your lifestyle. We take pride in building homes that are tailor-made for clients and their needs. The personal touch continues once work has started, too, with Richard catching up with you on-site once a week with the project foreman to keep you up-to-date on how things are progressing. It really is all about the personal touch with us. We like to go the extra mile for clients to ensure building your dream home is as stress-free as possible and we take the time to do things right. So, are you ready to build your dream home? Let Trent Building Solutions be the company to help you realise that dream. Passionate about helping you build your dream home. Supported by a motivated, forward thinking company with many years of experience behind them, I am able offer constructive advice and expertise to ensure that every home we build is a sound investment for our valued customers. Property development, insurance rebuild and investment property guidance. Lightning Construction is a Christchurch based company, offering a broad range of design and construction services, including professional consultation, residential works and commercial projects. Our clientele include private individuals, property developers, commercial business owners and nationally recognised companies. Wheelers Ltd is unique, that’s for sure. Firstly, we have all our trades in-house. We don’t sub-contract. We know our guys well, we know they are experts in their field and because of that, we deliver. Every. Single. Time. To the highest standards. After all, we are registered Master Builders. We are focussed on excellence, this is one of our core beliefs and it’s unwavering. 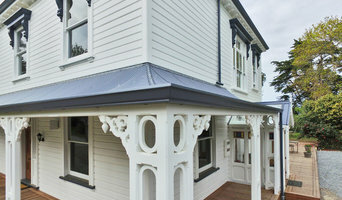 We are the Christchurch maintenance, renovation and new build specialists. Secondly we are full service. Yes, full, full service. What this means is, we are incredibly capable. We have our own architect in-house who is impassioned by innovation and houses designed with performance in mind. Complete individuality based on you and your needs for a start, none of this ‘pick a plan’ business. Our Quantity Surveying team are there to ensure the price is right, for you, we believe in transparency. We don’t give you a price then leave you with an additional bill at the end. That’s not how we operate, ever. Our Interior Design arm of the business ‘Creative & Co’ is there to work with you from small projects all the way through to complete new builds. We have a very hands on, personalised approach, you and your needs is our absolute priority, no buts about it. Our Christchurch in-house tradies are the pick of the bunch from Master Builders to Licensed Plumbers. When we said we have all trades in-house we meant it. They are specialists. From plumbers to electricians, tillers to builders, plasterers to painters. These ‘masters of their trade’ are available to you for projects and one off maintenance calls too. We don’t have the communication issues like many of the other guys in the industry. Our communication channels are open and functional. One of the greatest things about us is that we are a Christchurch family owned and operated business, not a franchise in sight. What this means is that ‘we get it’. We understand the journey it has taken you to realise your dream. We understand that your home or the vision of your new home is paramount. Our team is here to bring your dreams and visions to life, it’s what we do and what we’re passionate about. Firms that can carry out both design and construction in Christchurch, Canterbury, New Zealand take on the combined responsibilities of an architect, draftsman, construction company and additional contractors, providing one point of contact for homeowners. Having one entity responsible for the entire design and build, from estimation to subcontracting and even post-construction, streamlines and often speeds up the project significantly. Having a unified project team can also help you avoid unforeseen costs and delays in construction. In addition, the homeowner only has to interpret one contract with the design and construction firm, and not with various architectural design and contracting professionals. However, depending on the firm, you may still want to contact an interior designer or architect to help create the exact look you want. Here are some related professionals and vendors to complement the work of design & construction firms: Interior Designers & Decorators, Landscape Architects & Designers, Architects, Photographers. Project management demands time, skills and an eye for both detail and efficiency. While many homeowners choose to manage their own projects, they can often regret their decision once the build or home improvement project is complete. Homeowners should carefully consider the time they have available to allocate to locating, hiring and eventually paying every contractor who enters the site. From certifiers to roofers, and even your draftsman, a firm that can undertake design and construction in Christchurch, Canterbury, New Zealand benefits from having all of these home professionals under one roof. 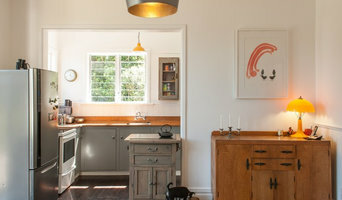 Find a Christchurch, Canterbury, New Zealand design-build firm on Houzz. Scroll through this page to find design-build firms in your area. You can browse recent projects, read reviews and message the firm directly. Another way to find a firm that can carry out design and construction in Christchurch, Canterbury, New Zealand is to browse Photos on Houzz. If there’s a photo you like, find out who designed and constructed it and strike up a conversation with the professional responsible.